At Cranbourne Carlisle Primary School we use the Fountas and Pinnell model to inform our reading program. 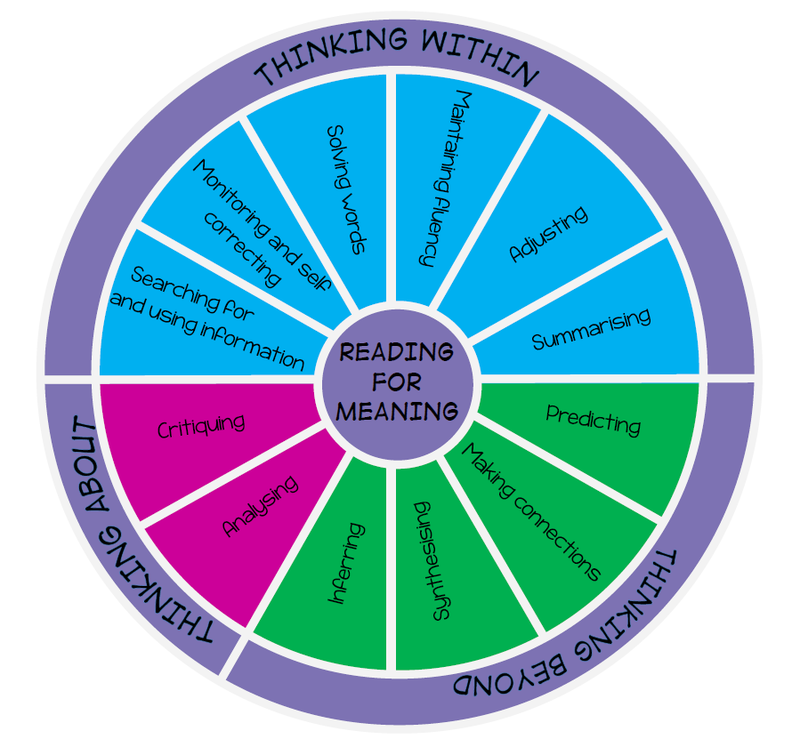 We explicitly teach the wheel of strategic action (strategy wheel) through an interactive read aloud, reading mini lesson, shared reading, guided reading, reciprocal reading or literature discussion. Children practice these strategies during independent tasks. Children learn by talking. Talking represents the children’s thinking. We engage children in conversation that is grounded in a variety of texts– those that children read, hear or write– and that expands their ability to comprehend ideas and use language to share thinking. The ability to read and comprehend texts is expanded through talking and writing. Children need to acquire a wide range of ways to write about their reading and also to talk about texts with the teacher and other children. Learning deepens when children engage in reading, talking and writing about text across many different instructional contexts. Each mode of communication provides a new way to process the ideas learned from oral and written texts and from each other. Taken from The Fountas and Pinnell Literacy Continuum. A tool for Assessment, Planning and Teaching.